What a month June turned out to be. Waking up the morning after the 23rd, the results of the UK referendum on EU membership were final. The words of Mark Twain: “Apparently there is nothing that cannot happen today”, might provide the most apt description of the mood felt at the time. The Leave campaign’s narrow victory has brought along tremendous economic, political and legal uncertainties for both the UK and the (other) Member States. To give but one example, with regard to the implications of Brexit on Europe’s most profiting football league, we recommend an older blog by Daniel Geey and Jonny Madill. Perhaps just as shocking as the UK’s wish for secession, was the Bundesgerichtshof decision in the infamous Pechstein case. On 7 June the highest German civil court ruled in favour of the validity of forced CAS arbitration and the independence of the CAS, leaving Claudia Pechstein to cough up roughly EUR 300 000 in legal expenses. 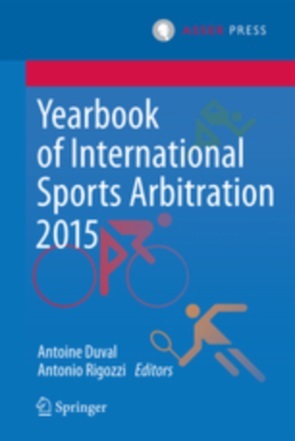 For a critical analysis of the decision see Antoine Duval’s blog. Operación Puerto, deemed “one of the most infamous and obscure doping sagas in history”, saw a new chapter being added on 14 June. A Spanish special criminal appeal chamber held that the more than 200 blood bags of professional athletes (which had been stored since their confiscation in 2006) can be delivered to the Spanish Anti-Doping Agency (AEPSAD), WADA, the UCI and the Italian Olympic Committee (CONI). Oskar van Maren examined the case in a blog. Last but not least, in June we witnessed the IAAF upholding its decision not to reinstate the Russian Athletics Federation (RusAF) for IAAF Membership. This means that Russian athletes will still not be allowed to compete in International Competitions under IAAF Rules including the European Championships and the Rio 2016 Olympic Games. A few days later, the 21th of June, the IOC endorsed IAAF’s position. Though it also potentially opened the door for Russian athletes to demonstrate that they are clean. The IAAF’s decision was appealed collectively by 61 Russian athletes to the CAS, and the final decision is due before the start of the Olympic Games in Rio. On June 3rd a temporary injunction was granted by the Landgericht München in the case between the International Basketball Federation (FIBA) and FIBA Europe versus several basketball clubs. The court ruled that FIBA may not prevent these clubs from participating in the so-called Euroleague competitions. The alleged abuse of a dominant position is addressed in a blog by Marine Montejo. Yet the injunction was annulled in a subsequent decision of the LG München. Famous tennis star Maria Sharapova was found to have violated anti-doping rules for the use of the controversial ‘meldonium’. A specially appointed independent tribunal imposed a two-year ban, disqualifying her from professional tennis from 26 January 2016 to 25 January 2018 (see also this piece by James Segan). In reply, she appealed the decision to the CAS, which is due to decide the case in September. This will prevent her from participating at the Olympic Games in Rio. A key player in our Unpacking Doyen’s TPO deals blogs, football club FC Twente, found itself in a rollercoaster of conflicting decisions during the end of season 2015/2016. On 18 May the licensing committee of the Dutch football federation (KNVB) issued a decision in which it relegated the club to the second (and lowest) professional league. It did so by creating a new ad hoc license for the second league, which did not exist before. Subsequently on 10 June, in summary proceedings before the district court, FC Twente’s request for provisional measures got rejected, and the relegation approved. Yet only a week later, the KNVB’s appeal committee overturned the licensing committee’s initial ruling. As a result FC Twente will stay in the highest professional league. Nick Butler - Exclusive: Clause at centre of European Championships contract row is "superseded"
Deutschlandfunk - "Sportler sollten Gerichtsbarkeit wählen können"
Johannes Herber - Urteil im Fall Pechstein, "Siegen oder sterben"
Karen Petry, The Beginnings and Development of European Sport Research at Universities: From Marginalisation to Fragmentation? 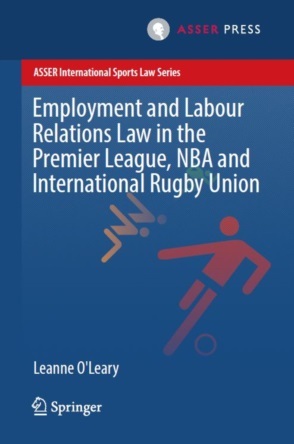 LawInSport and the British Association for Sport and Law, Sports Law Yearbook 2015/16 - UK, Ireland and EU eBook. Oskar van Maren, Operación Puerto Strikes Back! John Wolohan, The integrity of education in college sport: does the NCAA model compromise athlete welfare?